This month, a beautiful thing happened. Imperfect Produce made their way to the Twin Cities. Founded in 2015, Imperfect rescues “ugly” or unmarketable produce from local farmers and grocery stores within each respective city in which they have become established. Their model gives a chance for farmers to be compensated for EVERYTHING they grow, not just the “nice” looking stuff. Resulting from this is a reduction in food waste. The cherry on top is that Imperfect also partners with nonprofits and food banks, addressing hunger as well. We think this is a win-win-win! When co-founders Ben Simon and Ben Chesler launched Imperfect on August 8th, 2015, they had a vision of building a more sustainable and effective food system to better our communities and the environment. Since launch in 2015, Imperfect has recovered 40 million pounds of produce. In 2018 alone, Imperfect rescued 32 million pounds of produce and is projected to rescue 50 million pounds in 2019. They have donated over 2.1 million pounds of produce to over 70 nonprofit partners and food banks. 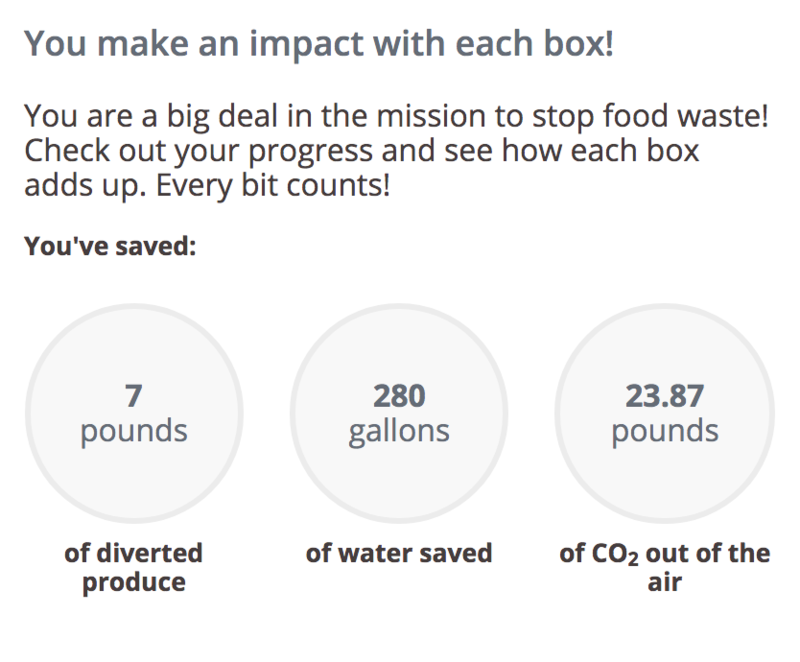 In addition to rescuing food, Imperfect has saved 1.2 billion gallons of water, and 110 million pounds of carbon dioxide. Food waste has reached extreme levels across the globe. Inextricably linked with the global hunger epidemic, it’s on all of us to address the issue. What we choose to consume, how we consume it, and how much of it we waste has plaguing ripple effects on the environment, economics, and people. 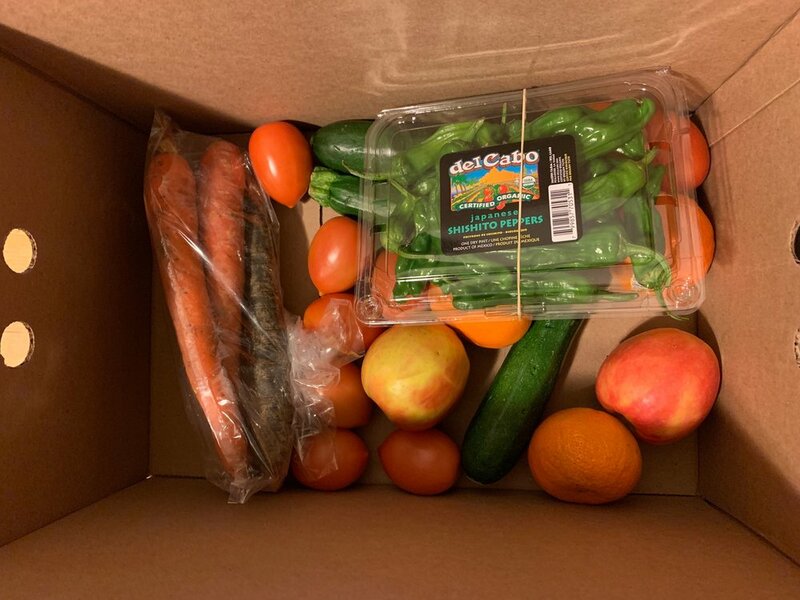 Our box included: 5 large rainbow carrots, a package of shishito peppers, 3 apples, 4 mandarins, 7 roma tomatoes, and 3 zucchini. Imperfect’s Pricing Structure gives a price range for each box type and size, depending on how one chooses to customize their box. 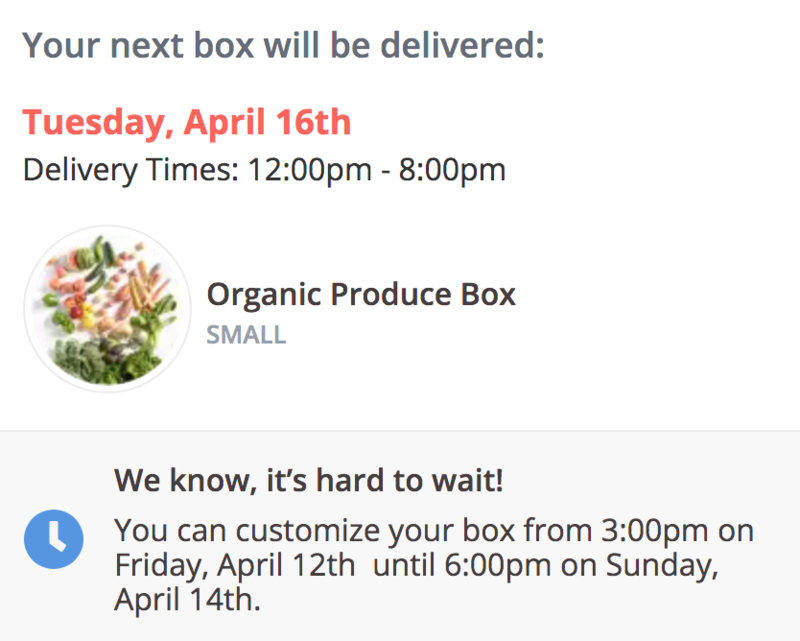 Ours ended up costing about $16, and we opted out of customizing our first box in order to see how much food would automatically be included in it. Of course, all of this fresh produce called for a day of cooking during this week’s blizzard in Minnesota. Anika made a pan full of roast veggies, zucchini banana bread, and blistered shishito peppers with sea salt. These peppers are very mild and slightly sweet. However, it is said that about 1 out of every 12 peppers is surprisingly hot! Add peppers, toss until they’re coated in oil. Continue tossing intermittently until peppers begin blistering. Devour whole (except stem) or chop up and add to other dishes. All in all, we give imperfect 5 stars for produce content, dedication to their mission, and all of the benefits that come from it! We are sold! Use our code, “nativesustainability” for 50% off your first box!